Do A LOT of Laundry (DUH dog hair everywhere)! Live in a condo? Ok so this is really my excuse to share with you guys my latest favourite find. THE COLLAPSIBLE LAUNDRY BASKET!!! 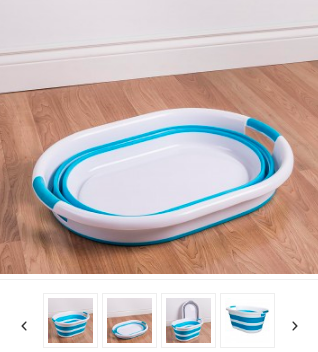 I first saw this amazing invention while watching the series “The Affair.” I thought it was GENIUS and I needed to get one especially cause I live in a condo and I hate that the laundry basket takes up so much space. 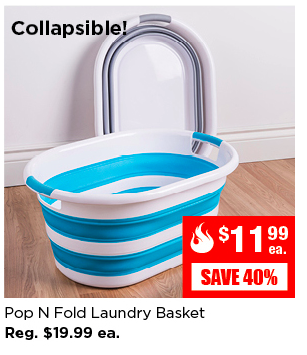 I found this Collapsible Laundry Basket at my local Kitchen Stuff Plus and bought it regular price $19.99, but I just saw it’s on sale now for $11.99!!! Side note: Kitchen Stuff Plus’ emailer is actually one of the few that gives you deals you can’t get in store without the coupon and they usually have great deals via email. Older PostTORONTO DOG WALKER: A NEW WEB SERIES CALLED POOCHED!